Franklin is in her 60s; she has a disability, can’t work and lives in Charlotte with her two sons. She doesn’t drive and she doesn’t have reliable transportation. She’s told her story before – her vote wasn’t counted in the 2016 primary because of voter ID restrictions in North Carolina. She had filled out two forms and used her social security card at the time, but it wasn’t enough. 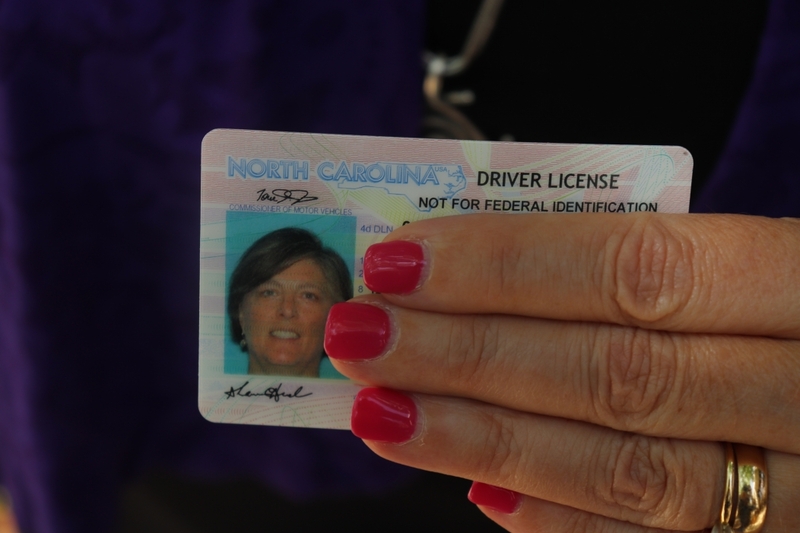 But she’s still angry, and with a constitutional amendment looming that could require photo IDs to vote all over again, she wants North Carolinians to know that getting one isn’t as easy as it may seem. Franklin finally has her ID, but it took her three months to save up for it and the bus fare it took to go get it. She’s since voted in more elections, but the experience of voting and then finding out that vote didn’t count has tainted her opinion of the system. She used to think the discrimination and oppression she experienced was because she was Black, but over the years, she said, she started realizing it was because she was poor. “If you don’t make the right amount of money, what you say is fine, what you do is fine, but it counts for nothing,” she said. Franklin isn’t alone in her struggle. Several people discussed their struggles getting a photo ID in North Carolina with NC Policy Watch over the summer. The amendment itself is vague and lawmakers have said voters don’t need to know the details of what they’re voting on – they’ll sort that out in a lame-duck special session after the election. The constitutional amendment is one of six that will appear on this November’s ballot. Many states have laws that require a photo ID to vote, but North Carolina’s effort would enshrine it in the constitution. Lawmakers’ last attempt at requiring photo IDs at the voting booth was struck down after critics accused the measure of being racist and discriminatory. Enshrining it in the constitution would make it more difficult to challenge in court. Franklin says it’s easy for people to speculate about poor people’s situations and say what they should be spending their money on, but they don’t understand the realities of living in poverty. So what’s the solution? Franklin doesn’t have all the answers, but she does think if lawmakers had to walk a mile in her shoes, they might approach creating a voter ID law a little bit differently. The Southern Coalition for Social Justice (SCSJ) also released five videos this week aimed at educating voters about who may be disenfranchised if the photo ID constitutional amendment is passed in November. 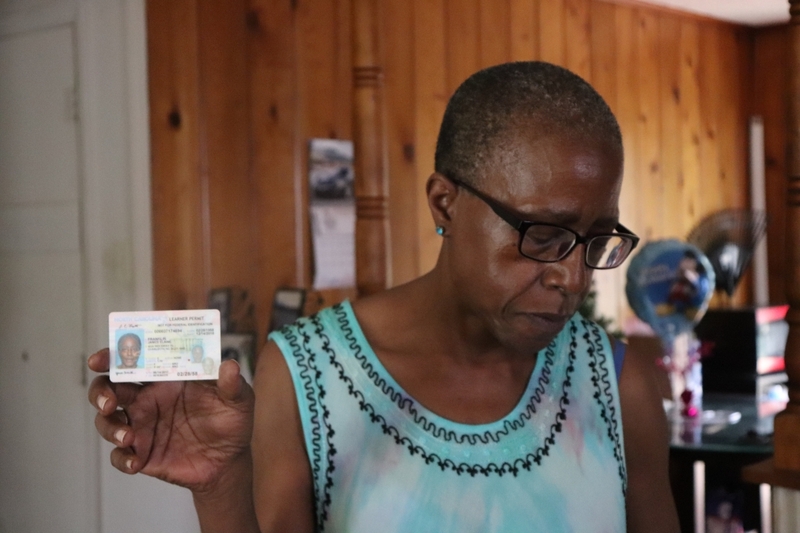 SCSJ’s video series highlights the stories of North Carolinians who faced hurdles during the 2016 primary election when that racist and discriminatory photo ID law was in effect. Some were turned away before voting for not having an ID and some were forced to cast a provisional ballot that was never counted, like Franklin. Others would be unable to vote in future elections if state-issued photo identification were required. SCSJ represented plaintiffs who successfully challenged the sweeping voting law passed by the General Assembly in 2013 that included a photo ID requirement. • Jaden Peay, an out-of-state sophomore at North Carolina Central University who volunteers to register other students to vote but only has his South Carolina driver’s license and school identification card, making it unlikely that he would be able to vote in future elections. SCSJ plans to add more stories to the project between now and Election Day. The videos will be shown at community meetings and town hall discussions about the amendments and will be promoted through sponsored social media posts to inform targeted groups of voters, according to a news release. Sharon Hirsch, a registered voter in Durham, spoke to NC Policy Watch about her concerns for what lawmakers will specifically require of voters if the photo ID amendment is passed. She has never had trouble getting her driver’s license but recently tried to obtain a Real ID and was turned away because of an issue with her maiden name versus her middle name on her official documents. A Real ID is a document that satisfies federal laws pertaining to security, authentication, and issuance procedures for state driver’s licenses and identity documents. It will soon be required of everyone who travels or goes into federal buildings with identification requirements. Hirsch is afraid it will also become a requirement to vote in North Carolina. She was married 31 years ago, but was never informed that her maiden name and middle name were to be used as one and the same. So, her social security card says Sharon S. Hirsch, her driver’s license says Sharon Smith Hirsch and her passport still says Sharon Beth Hirsch (her middle name). When she brought those to the DMV, they couldn’t issue the Real ID because the names on her documents didn’t match. Getting the documents fixed will take more money and require more time off work, she said. She said she called U.S. Sen. Thom Tillis’ office right after being denied the ID and informed them of the problem. She never heard back. Now she wants North Carolina lawmakers to recognize the issue and how requiring such an ID can be discriminatory for women. She noted that she recognized her privilege in being able to afford to change her documents and having a job flexible enough to take time off. 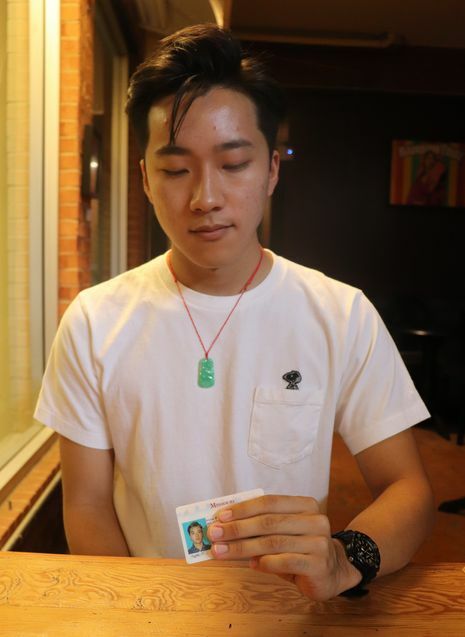 In a separate issue, Matthew Tran, a Duke University student, reflected on the possibility of not being able to vote in future elections if a state-issued identification was required under a new constitutional amendment. Tran is from Kansas City, Missouri, and his family still lives there. He considers Durham his home and is politically active – including volunteering for Common Cause NC – but like most college students, he moves frequently. Having a permanent enough address for a North Carolina-issued ID is not likely while he’s in school. Losing his right to vote because of that scares him. Participating politically in his community and voting in particular is important to Tran on a very personal level. He said voting is something that is taken for granted in America, but it’s something his parents weren’t able to do. Tran said accessibility to voting is something that should be a priority for lawmakers, and he hopes they consider people’s backgrounds and resources as they plow ahead. Former NC Policy Watch intern Rakhia Bass contributed to this report.